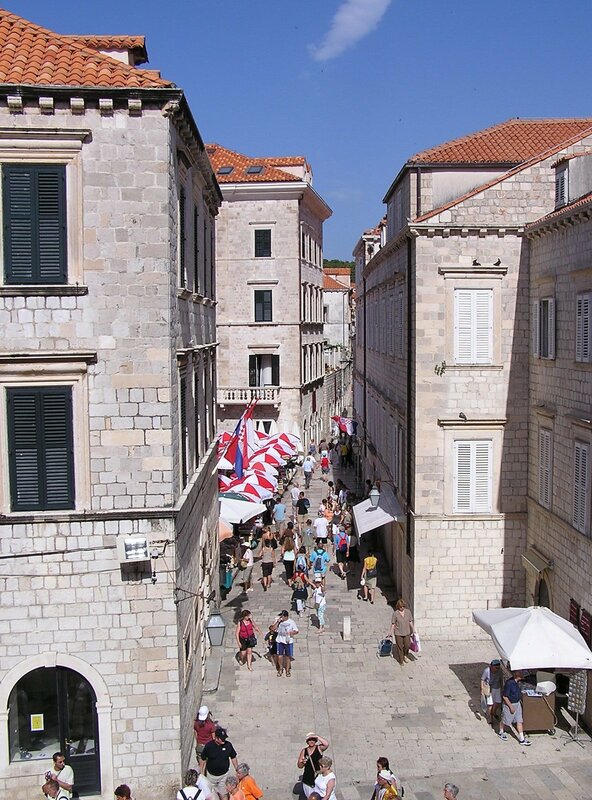 Dubrovnik is a popular cruise port on the Adriatic coast. 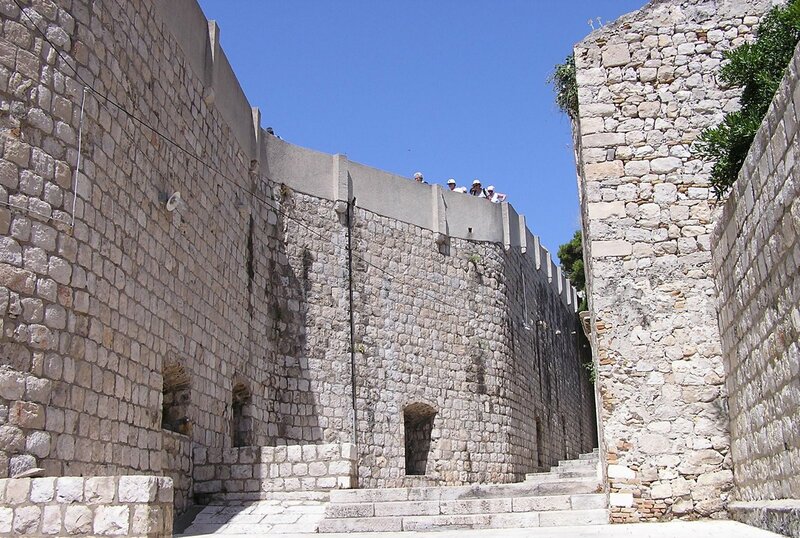 The Old Town is surrounded by an ancient wall that you can walk on, with great views of the city. After an interesting tour of the Rector’s Palace and Franciscan Monastery, we had time to walk around the cobbled streets and marble-paved squares by ourselves. I enjoyed the narrow alleys and old buildings. There were shops with lace, jewelry, and ceramics as well as wood carvings and leather items. The local currency is the kuna, but most of the stores accept the euro. We also wandered through the morning market where locals bought produce and flowers. Unfortunately, we were only allowed a half day in the beautiful city, one of the negatives to cruise vacations. I also have a slideshow about Dubrovnik on YouTube.